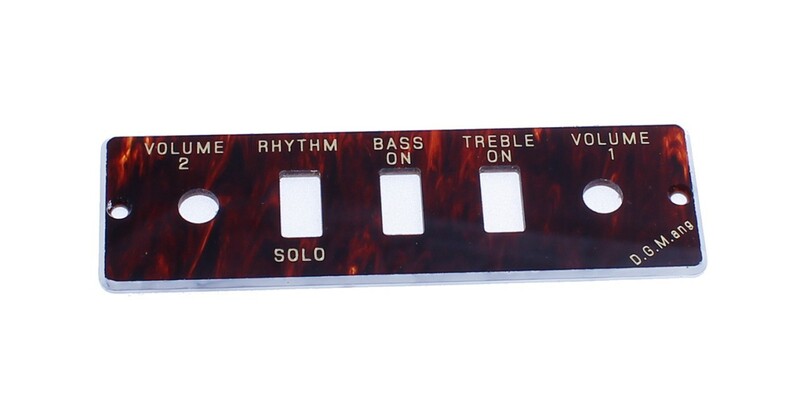 Tortoiseshell control panel plate only for H500/1-59. Will fit most Hofner guitars & basses up to 1966. Tortoiseshell control panel plate only for H500/1-59. Will fit many Hofner guitars & basses up to 1966.